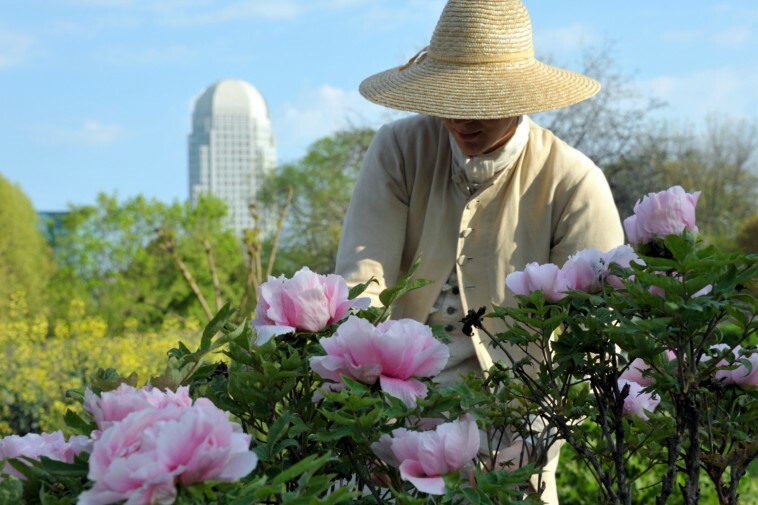 Win a Trip to Visit Historic Gardens in Winston-Salem, N.C. Anyone who reads this blog regularly knows about my love for beautiful gardens. Today I’m excited to tell you about a giveaway that I know will delight you! Our friends at Visit Winston-Salem are offering a one-night stay at the historic Brookstown Inn in Winston-Salem, North Carolina, complete with the opportunity to view a collection of heirloom gardens that are absolutely breathtaking. Not only are they beautiful, these gardens are special for the history they contain. Read on for details about the giveaway and for more information on these magnificent gardens. The 1759 Community Garden at Historic Bethabara Park features heritage plants and other varieties based on original documents by Christian Reuter, North Carolina’s first forest ranger. Today it’s maintained by local gardeners who specialize in colonial agriculture. The Single Brothers’ Garden in historic Old Salem was once responsible for feeding as many as sixty men of the Salem Single Brothers’ Choir! Today the garden is planted with crops representing what unmarried men grew in their gardens and fields during the late 18th century. 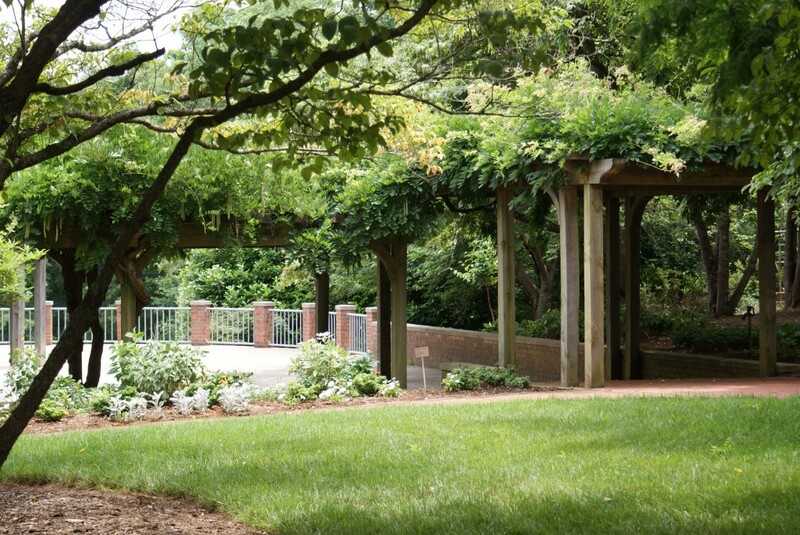 Designed in 1913, Reynolda Gardens hosts numerous year-round workshops allowing visitors to learn new gardening techniques as well as discover the original owners’ vision of these magnificent gardens. The garden features plants native to the area, plus new introductions to add a modern vibe. 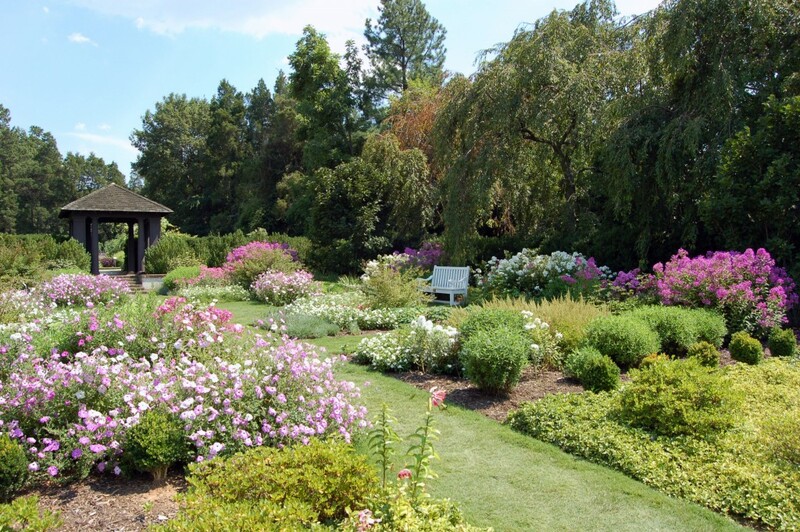 Just 15 minutes outside from downtown Winston-Salem, sits Paul J. Ciener Botanical Garden with two acres, 15 separate gardens and 1,300 different types of plants. 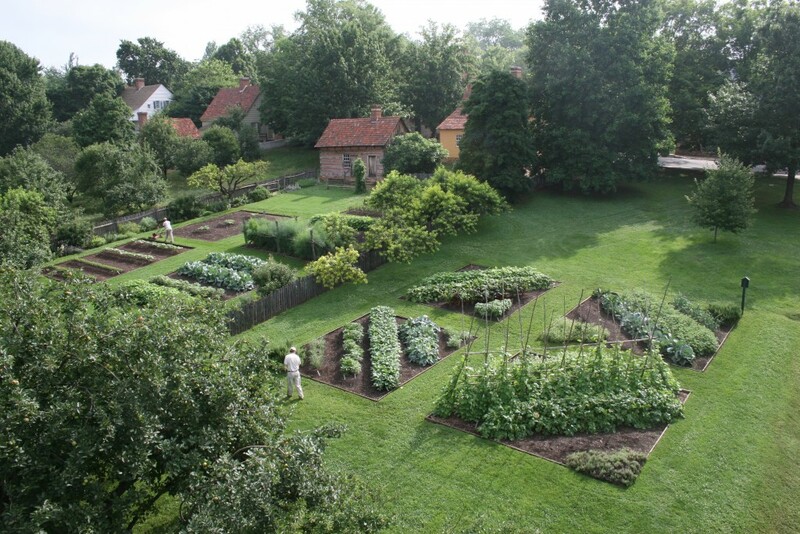 Notable is the Kitchen Garden, planted in accordance with Moravian tradition. The Arboretum and Gardens at Tanglewood features twenty-six wonderful gardens that showcase seasonal flowers, ornamental shrubs, and a wide variety of trees native to the area. Nestled behind Tanglewood’s historic Manor House, the gardens are open to the public year-round. Throughout 2016, Winston Salem is celebrating its 250th anniversary with a calendar marked with special events, historical happenings and getaway packages to help you get the most out of your visit. The Ribbon in My Journal Giveaway trip includes hotel accommodations at the Brookstown Inn plus several tour components. Included are: one nights stay at the Brookstown Inn, Garden Getaway itinerary, complimentary jar of local, handmade jam, a wine and cheese reception with gourmet cheeses and crackers, featuring North Carolina wines, complimentary onsite parking at the Inn, fresh baked cookies with milk at bedtime, complimentary hot southern breakfast, and free high-speed wireless internet. To enter, simply leave a comment below this post or in the comments beneath this post on Facebook. Be sure to check back on April 14 to see if you’ve won! What are some of your favorite gardens to visit? Does anyone know why Katie Futrell Grindle is leaving false reviews about weatherguard inc on google? Can she stop? Will she stop? Would you comment on who won the trip to Winston-Salem? What a lovely trip especially the garden tour. My husband’s grandparents came over through Ellis Island from Germany. They were great hosts to anyone who came to visit and it must be a German trait. I love the gardens and the stories about the houses. Would love to visit Winston-Salem. Winston is my hometown. We live away now and would love a visit to see all the gardens – one of the things I’ve never done there. I love Old Salem’s Candle Tea at Christmas. Thanks for sharing this! I would love to have an opportunity to visit the beautiful gardens in Winston Salem. My husband and I have recently downsized to a patio home and I am looking for ideas to landscape around our back porch. My daughter lives in Winston Salem and we live in Kentucky. We only get together once a year so an additional visit with her and the gardens would be wonderful. How marvelous to have an opportunity to savor such exquisite delights. The trip will surely produce lifelong memories for the lucky winner. What beautiful gardens!! Thank you for sharing these photos. It is such a joy to visit beautiful gardens. They are so inspiring. Each year, I tour our local garden shows along Colorado’s Front Range. Although not lush like those in the eastern half of the country, these high plains gardens are creative and lovely. But, oh, how I would love to visit the Historic Salem Gardens! to come down and see these beautiful Historic gardens, and admire all the work that was put in them to create such memorable showplaces. I’m sure they inspire one to put on the garden gloves, boots, and fill your garden basket with your gardening tools to try and recreate these lovely and inspirational spaces. These gardens are so beautiful; I couldn’t resist pinning them!!! Definitely added to my wish list to visit! Thank you for sharing. Beautiful gardens! I love to visit Botanical gardens when I travel. But my favorite gardens tend to be the ones I pass when I am just walking in different neighborhoods, wherever I happened to be. I so enjoy seeing what other people do in their gardens and how the yard compliments the house! Thank you for such a generous give away! Beautiful! Would be great to see those gardens in person. I’ve had to retire due to medical reasons this past year. I take care of my Mom who is on Hospice so I don’t get to go many places due to financial and physical issues. I most definitely need a trip to a serene place to reconnect with the beauty God had blessed us with in the garden and flowers. Thank you so much for sharing about the beautiful gardens. I would love love love to see them. Thank you again for the Blog I enjoy reading all the information. I feel very blessed to still have the time left to enjoy flowers and gardening, I did not appreciate these beautiful things until my husband became disabled from the fire department after 30 years and I had time to sit around and look thru all these wonderful magazines I have ordered and looking at other peoples blogs. I really appreciate gods gifts and would love to go to Winston Salem. At the age of 57 it is strange what you enjoy now that you took for granted in earlier years. There are no words to describe the beauty of a garden. One has to experience it! Beautiful gardens…always looking for new ideas to create special areas at our home! In St. Louis, Missouri we have the Missouri Botanical Gardens. We enjoy our visits there. If the Gardens you have posted are as beautiful as the pictures, I would love the opportunity to see them. Thank you. Sounds beautiful! I’d go with my mom who loves gardens. Ahhhh Winston-Salem gorgeous alone and visiting beautiful gardens there would make it special. I live in Louisiana and we have Zemurray Gardens and live to go to Bellingrath Gardens in Alabama. I sure would love a getaway away to a lovely garden! Sounds like a wonderful opportunity. Thanks for sharing all those details about the gardens. I definitely want to go! I love gardens and gardening, the pictures of this garden are awesome, I would love to see it in person. This sounds so lovely. I enjoy visiting gardens that are so cared for and beautiful. Love Love Love!!!!! !Can’t wait to visit Winston-Salem!!!!! So Inspiring!!!! Hope I win this trip. My husband and I just came through Winston- Salem on a trip to visit my daughter in Virginia. I will gladly turn my car around and head back. It is a lovely drive, I would enjoy viewing these particular gardens. My husband had built a French potager garden in the back yard and I would love to get some ideas for designing it on the inside and for plant pairings. What a fabulous gift this would be for my mom, who is a master gardener and loves to tour beautiful gardens (as do I!). Thank you for this awesome opportunity! I have been a gardener for over fifty years (in hot Arizona) and always delight in seeing gardens that take my breath away. What a exciting contest to enter. I do enjoy going to botanical and special gardens whenever I travel. The gardens in Winston-Salem would be a lovely visit. I would love to visit the gardens around Winston-Salem. I am fortunate to live near the Daniel Stowe Botanical Gardens. I would love to visit gardens. I used to visit Pine Mountain and Callaway Gardens when I lived in Georgia. Savannah is also beautiful. Thanks for offering an opportunity to win this trip in such a beautiful place. My sister and I love gardens and our father’s grandfather was a Moravian. What a joy it would be to visit. So many beautiful gardens, so little time! What a wonderful way to plan trip, one garden at a time. Thank you for the chance to win a walk through a beautiful, historic place. What a dream oppotunity to see. What a delight it would be to win and have an opportunity to visit these gardens. Hoping to be the winner. Visiting gardens in the Southeast is on my Bucket List. Keeping my fingers crossed! What a lovely opportunity to visit Salem! How delightful to have the chance of seeing these beautiful gardens. The South’s climate is ideal for providing us with magnificient blooms. I would love to experience first hand that flowering flora! I live in Oregon and have never been to that area of the country. I would love to see these gardens and learn more about making the grounds here as beautiful! I am a preacher’s wife and I host a lot of teas. My guests would be delighted to have walks in the garden after tea! Our family loves visiting historic places. Williamsburg has been one of our favorites so far. I would love to replicate some of these plantings in northeast IN with of course winter hardy varieties or similar plants. Visiting the east coast of the Carolinas is on trip list. I have recently discovered your blog and now enjoy receiving your column regularly. It is so beautiful! The gardens are just lovely and I’m sure whoever is the lucky winner will have such a beautiful visit! May the Lord bless the person most deserving of this trip to paradise! Lovely gardens, just what I need for a feast of my eyes and nose! Winter has been too long in these north woods! My mother, now 89, would plan a week vacation for my father and us three girls every summer, usually at the New England coast. She loves history, so every trip included a visit to at least one historic site. We went to Stawberry Bank, Sturbridge Village, and Boston to name a few, but we never visited the South. In spite of us girls protests about sightseeing and my mother’s reading all those historic markers, I became an architect and found my passion in historic preservation. I would love to have an introduction to the South by visiting Winston Salem with my youngest sister, who shares an interest in gardening, and reexperience a little of our family summer vacations! My beloved and I celebrate 45 years of serving God and each other in September. What a great anniversary trip this would be! I have been a Victoria and a fan of yours since the beginning. Beautiful post and lovely give-away! I haven’t been to Winston-Salem in many years, and I’ve never visited the gardens. Thank you! My favorites!!! The huge glass conservatory has been dismantled and will be restored . I look forward to seeing its reinstallation! The age of some of the trees on the property is impressive. It’s location on the Thames adds charm as well. What absolute glory! What an awesome God we serve who created such beauty for us to enjoy–and then gave us the desire to reproduce that beauty all around us! What a lavish display–a lush banquet for our eyes! I have a longtime friend who has died who loved her gardens and introduced me to that pleasure as well. Oh, how she would enjoy our spending a few days walking in these gardens. One of my favorite gardens to visit close to home is at Stan Hywet Hall in Akron, Ohio. I love going there in the summer especially to see the butterfly exhibit along with the gorgeous flowers. Thank you for offering such a fun giveaway! Simply gorgeous. It would be a treat and pleasure to enjoy the beautiful gardens, and learn more about the area. Having lived all over the Eastern U.S. with the military I’m amazed that my husband and I didn’t know how beautiful Winston-Salem is. It would certainly be a treat to visit and see not only the wonderful gardens but the town itself. I will bring you a cutting from my favorite rosebush if my husband and I are chosen to win this trip! I am newly retired and my dream is to tour gardens to help me work up a plan for my own gardens. This would be the first step to achieving my dream. Crossing my fingers and toes-would love to visit here! I had no idea these gardens even existed, they are gorgeous. What a lovely springtime treat to visit these beautiful gardens! Thank you for a glimpse and an opportunity to make a memory. I would love to see the Gardens in Winston-Salem. My Grandfather and his friend built my playhouse when I was four years old. On one side they put in a sandbox and on the other side a garden. They gave me some seeds and showed me how to plant. I could not wait to see the flowers and when they came up, I was so proud that I had my own garden. It was so colorful and all my friends admired it. Every year, I put in a Herb Garden and so enjoy the herbs in my cooking. One of my favorite things to do is visiting Historic Homes and beautiful gardens that are open to the public. My mother’s family came to North Carolina more than 200 years ago and the families still have wonderful family reunions. I have never been to Winston-Salem but went many, many times to visit family in North Carolina. Please add my name to your giveaway and bless those who sponsor this lovely garden getaway. I lived in Winston Salem as a child and remember going to Tanglewood and the Reynolda Gardens and attending the Easter service at the Moravian Church. Every Christmas my siblings and I hang a Moravian star on our porch. Now I live in the West and it would be so lovely to see it again and relive some very happy memories. I love the South. My parents lived in Georgia for many years. I live in California. It would be awesome to visit this beautiful garden. I would dearly love to visit such beautiful gardens! Would love to win a trip to this beautiful garden! A beautiful way to celebrate Spring! I would love to take my mother with me! Fingers crossed! How exciting! These look like gorgeous and inspiring gardens…places my husband and I would absolutely love to visit. We are both history buffs and are passionate gardeners (a trait that seems to have been passed down on both of our family trees). This is my kind of giveaway….I love seeing beautiful gardens. Thank you for the tour on your blog. I’d give a cutting from my favorite lilac bush to win this! Have been to the Butchart Gardens in Victoria, B.C. a couple of times – high tea at the Fairmount Empress with my mother and grandmother was truly a treat. Thank you for the eye candy and the opportunity! We have beautiful gardens here in Texas, too, but they are very different from the beautiful garden you’ve shown here. Ours are mostly drought resistant and very colorful. Many people think they are full of prickly, spiky plants but that is not the case. Come visit the Lady Bird Johnson Wildflower Center here in Austin. It is a wonderful celebration of Mrs. Johnson’s appreciation of beautiful plants. My favorite garden to visit is Frederik Meijer Gardens and Sculpture Park in Grand Rapids, Michigan. There are beautiful indoor and outdoor gardens with seasonal themes including Christmas. The butterfly garden and butterflies are enchanting. There is also one of the two sculptures of Leonardo’s horse, a sculpture that was commissioned, but not completed until many years later. My grandson is in the military at Ft Bragg, and I am so wishing to visit him. To have the opportunity to see Winston-Salem and the surrounding area would be a dream. My favorite garden as a child belonged to my Grandmother, Grace Keers Bartlett. She had the most fragrant roses and dark red cockscomb growing in her garden in Missouri. I try to grow both here, but the Texas heat is relentless and I have failed with both many times, but I keep trying. Beautiful gardens to see in person! Would love to visit there! Thank you for the opportunity to win a visit to gardens in Winston-Salem. I love the Birmingham Botanical Gardens and the Aldridge Gardens especially because I watched and contributed at the beginning of each of them. My grandfather’s garden was one of great inspiration to me as he enjoyed flowers and all green things, having come from dry Kansas plaines. He had a neat, garden with gravel paths in the only flat area of his acres of woods and said that the rolling slant of his land rested his eyes. He bought flowers only from Luther Burbank and wanted us grandchildren to know the names of all of them from altheas to zinnias. You furnish our lives with so much that is beautiful and good through your Ribbon and publications. Would absolutely enjoy the trip so much! Have been babysitting my first granddaughter since January and it would be so nice to have a little vacation. Thank you for the opportunity. i love Brookgreen Gardens in Murrells Inlet South Carolina! Spring time in a garden of bliss. Yes please. The fragrance, the warm soft breeze, the green grass and finally the flowers-the subject of an untold amount of paintings and poems. Spring what a wonderful season. My sister and I are no longer able to care for our flower gardens. This trip would be a pleasure for us to spend time together and enjoy nature’s bounty. Thank you. A few years ago we visited the Biltmore Estate in Ashville, NC and so enjoyed, not only the house, the the gardens and surrounding grounds But I’ll never forget the gigantic Wisteria vines growing on the veranda, with the guide saying they were more than 100 years old. With our current weather being so disappointing this Spring here in Iowa & too cold for much of anything growing, I would love to view these beautiful gardens in a warmer climate. Also, my husband is a wonderful amateur photographer, and he would go crazy in these gardens taking beautiful photos. It would be such a meaningful experience for both of us! Dale chihulys glass garden at the bottom of the Space needle, Seattle, Washington. very amazing! thank you, for making this possible for one lucky winner!! I grew up in Bethlehem, PA, which was also settled by the Moravians. I have always wanted to visit Winson-Salem & have never been. The gardens look beautiful. My vote … For what it’s worth is for Katie Grindel! Sounds like some quiet time with her husband and a beautiful and enjoyable walk through magnificent gardens… is what the doctor ordered. I wish I was closer and someday hope to tour the south. We live in California….but right now because of the God given rain… Our flowers and trees are simply beautiful!! You can almost see them smile! We sit on our deck, overlooking the fields of flowers and the ocean. Lovely. But one day, hopefully we can take time and enjoy the “South”! Your descriptions and pictures are a vacation in themselves!! Thank you as always!! Interesting this should pop up in my box today. The program at DAR yesterday was about the Moravians and a member’s family that lived in Winston Salem. We all commented it would be fun to visit the area. Some of my early family in this country were there as well so I could do genealogy research. Tks for the opportunity to register. What a wonderful trip this would be for 2 good friends who both love a beautiful garden! I would love to visit these gardens! It sounds like a delightful few days away. Europe, I might have many additions to my list. We would love to go to Winston Salem. Our only daughter graduated from Salem College in 1999 and we have not visited the campus since then. It would be a nice trip to go down memory lane with her again. She loved Winston Salem. Oh, how I would love to visit this beautiful area and see the stunning gardens. We are in the process of taking out all of our ‘builder bland’ landscaping and would love to incorporate some of the stunning garden ideas into our landscape. As my brother, sister and I are getting ‘older’, we realize how important family time truly is. Thank you for this opportunity! By the way, we love Hoffman Media, your Inspirational blog and subscribe to Southern Lady, Taste of Home and Cottage Journal. Pick us! Pick us! My Silver Fox (a.k.a. my husband of 45 years) is our family gardener, and we both loving photographing nature and all beautiful things. We would LOVE a trip like this. I love flowers and beautiful gardens. This sounds wonderful and my son lives in Winston-Salem also. Thank you for this opportunity and would love to visit this garden. I would love the opportunity to visit these beautiful gardens in Winston Salem. Thank you! What a beautiful place to visit anytime of year. Thank you so much Phyllis for introducing us to wonderful places like this. I live in California but my husbands family is from N.C. It would be a fun trip to visit the gardens and catch up with family. The gardens look wonderful! I am a member of a tea club (300 members) located in So. PA and MD. We love to take bus trips to gardens and of course have tea. Would love to see the gardens and perhaps plan a future trip for the club. I love visiting gardens and we have been to many. We haven’t been to any of these gardens though or that area, so we would love to have the opportunity to visit. My husband & I enjoy touring gardens around the South. This would be an opportunity to discover a new beautiful garden. Would love to go!! Would love to win a trip to the gardens. Love to visit a new garden! I’m a ‘blooming idiot’ who loves to visit any garden. I don’t think my first comment went through so I’m doing it again………..
I’ll gladly jump in my car and drive from Indiana to “The Carolinas” to see these beautiful gardens. My fingers are crossed. I will gladly and joyfully jump in our car and drive from Indiana to “The Carolinas” to enjoy seeing the beautiful Southern Gardens. As a displaced North Carolina native I would absolutely love to visit these gardens! I’ve visited many others in the state, but have never had the opportunity to see these in Winston-Salem. What a treat it would be to win this!! I love, love, love the Birmingham Botanical Gardens in Birmingham, Alabama! They’re beautiful and so much fun to visit with a group of girlfriends! Our young adults group at church is planning a trip there soon! I have never visited the gardens in Winston Salem. As avid gardeners and take many tours of gardens, this would be a wonderful site to visit. Also, I have not heard of the Brookstone Inn. What a fabulous giveaway and how wonderful of you to offer this gift. We do visit the Virginia Historic Garden Tour most years. It is one week in April in almost all of Virginia. If you, or your readers have not attended this, it is a must see tour. Thank you so much for this opportunity and for sharing your wonderful blog. Oh, this sounds wonderful! I love to tour gardens! It is now on my wish list of places to go see! Thanks for sharing this garden with your blog readers! My husband just retired, and this sounds like a wonderful first vacation and celebration! Oh the beauty and history of Winston Salem!! I would love to take my husband for our 10th anniversary! We’ve not been alone together since our honeymoon, survived blending families in a recession and have 2 new children. 8 children, 3 grandchildren. We met over flowers and married in a history museum! My mother ( who is now 93 years young) won the award from her city for having the most beautiful garden. My love of gardening comes from her sweet nurturing. What a lovely giveaway….as a true gardener I will remain hopeful that I may win!!!! Good luck everyone. Winning a trip to see beautiful gardens in the South would be wonderful!! A trip like this has been on my bucket list for years!! Thank you for offering such a magnificent experience! December 16th 2015 my husband died. We were going to celebrate our 63rd anniversary on December 28th. We had talked about going to Ashville and surrounding area. We had not been to North Carolina. Needless to say we never made it. I still have hopes of getting to that wonderful state someday and see all that it has to offer. Altho now I would have to do it alone..but I can do that!! Gorgeous gardens! I would love to visit them! I love the gardens in Charleston, the Biltmore and Bellingrath. Would love to see Winston Salem. see the gardens in person. What a beautiful collection of gardens in the Winston-Salem area! There is something about getting away to a beautiful garden that attracts peace and inspires the soul. Thank you for sharing! My love of Gardening comes from Generations of women in my family always having something blooming in their yard! I have started to discover this beautiful city since my son started at Wake Forest Medical School studying to be a neuroscientist. I have enjoyed discovering cool places like the Reynolda House, SECCA, and since I’m Greek, the wonderful Athens Market! 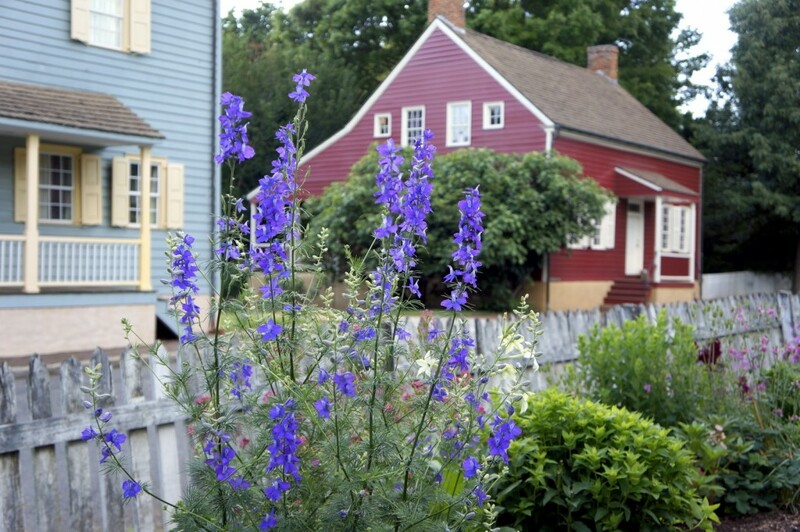 What a treat this would be to enjoy a stay at the Brookstown Inn and visit the gardens! I also love being inspired by your lovely blog. I have only been to North Carolina to visit the beautiful Biltmore House and would love an opportunity to see the lovely gardens in Winston-Salem. From Longwood Gardens in Pennsylvania to Fairchild Gardens in Florida, I love the beauty and serenity of botanical gardens. No matter the season, they always contain a magical surprise. I would love to add a visit to the Winston-Salem gardens to add to my memories of beautiful places. The photos of the gardens are absolutely beautiful. What an amazing opportunity to be able to view these gorgeous gardens in person. Here in Duxbury, MA winter has returned ever since spring entered with six inches of snow on Monday and they are predicting more snow for this weekend. The wind has been something terrible. This wonderful trip would be amazing. Thank you for your generous get-away contest. I will definitely keep my toes and fingers crossed. Thank you. When I lived in NC, I would visit these beautiful places and it brought back wonderful memories to see the pictures. Would enjoy walking the paths again. My husband and I visit botanical gardens every chance we get. We will be traveling through North Carolina to visit family and would love to visit some of these gardens in Winston-Salem. Last Fall our daughter was married at the Phipps Conservatory in Pittsburgh, PA. What a gorgeous wedding with all the Fall Flowers! Beautiful pictures of these historic gardens. Interesting to hear about the Moravians who settled in Winston-Salem. The trip would be a lovely introduction to this historic city. Iwould love to visit this beautiful area of North Carolina. I am a gardener and I especially love floral gardening in the south. It would be wonderful to win this trip and experience some of the Moravian treats in that area. I currently serve as landscape chair for my retirement community. I volunteered because no one else would take it or help on the committee. I’ve loved gardening all my life. If you think you have problems just work in the yard four or five hours a week. It’s the cheapest therapy I know of and when you come inside you want remember what the problem was. Happy gardening and I thank God for this wonderful gift and therapy session ! Thank you for the opportunity. It would be both educational and lovely to see Winston-Salem, North Carolina and her gardens. I admire how the Colonials used their resources to provide for their needs. Thank you for the lovely pictures in this blog. I love seeing the beautiful gifts that God has given us, and this would be a great trip to win. Thank you for the opportunity. I would love to visit Winston-Salem. I am so hoping I win this! What fun. A trip to North Carolina and fabulous gardens. Thank you for the opportunity to visit gardens my family and I have not enjoyed. I have never been to Salem, wpu k d love the opportunity to go. Would love to stop and smell the flowers. A much needed break and time to balance. My husband, Bill, and I have been married “55” years today. We went to Washington, DC for her honeymoon and was able to enjoy the cherry trees. We have share a great love for flowers and my husband just loves working in the yard. It is his hobby. We have some kind of shrub or flower blooming all the time. My Grandmother gave me my love of flowers. We would love to win this trip as we need a Get-Away real bad and this would be perfect. Would love to stop and smell the flowers– a much needed time of slowing down and regaining balance. What beautiful history and inspirational gardens! I will be so fortunate if I win this blessing. I know my best friend would love to come along with me to see these beautiful gardens. I have never won any entry my entire life. This would be an amazing birthday gift! Thank you for this opportunity and please consider my entry. This is a beautiful place. I would love to go back. Old Salem is wonderful. What a wonderful give away! Would love the chance to tour the wonderful gardens and stay at a wonderful bed and breakfast. These gardens are simply beautiful, inspiring and uplifting. In these times to walk through a place of such beauty would surely put one back on the right track. Even if one does not win the trip the photos above are inspiring and comforting. Thank you. Absolutely stunning, Phyllis. My favourite gardens were in Vienna at the Schonbrun and Belvedere palaces. I would love to visit Winston-Salem and visit their botanical and heirloom gardens. As a Master Gardener, I’m always looking for gardens I haven’t visited. I’ve been to Statesville and Greensboro North Carolina but never Winston Salem. I would love this prize. I love flowers and beautiful gardens! It’s hard for me to choose, because I live in GA where we have a number of wonderful gardens, but I have to go with Callaway Gardens. The azaleas in spring are simply stunning! Winning this visit would be a great excuse(as if I needed one)to visit my dear friend in Williamsburg, Virginia. We could both visit and what fun we would have as we both enjoy the beauty and usefulness of our gardens. My favorite local garden is the Sherman Garden & Library, in Corona Del Mar, California. The variety of plants is amazing! They have a “truck” garden that they use for their cafe and an immense greenhouse with wonderful tropical plants , as well as a koi fish pond with waterfall. They also have a faux riverbed made of white Quartz that leads from a pond(with a fountain)in which a half dozen snapping turtles reside. It is simply breath taking! Sounds like a very relaxing atmosphere. The gardens are lovely. I’ve never been to Winston-Salem and would love to win this opportunity! I will actually be in the area in May, bringing my daughter back to California from college in Virginia and it would be a lovely side trip on our way! Thanks for offering the opportunity! This would be wonderful to win! My husband and I have never been able to travel as we would like to, but this would be a blessing for the two of us to win and enjoy together at such a beautiful time of the year! Please consider us for your winner! Thank you. This trip sounds like a dream come true! I’ve always been curious about the beautiful gardens in North Carolina, I hear they are so beautiful. Thanks for the chance to visit Winston-Salem! Have never visited Winston Salem. What a treat to visit there and see those gardens. At 74 this is definitely on my bucket list! Thank you for the opportunity to visit these beautiful gardens! My husband would be delighted if we could win this trip ! This is one time I can’t get enthusiastic about an article on this site. I see these gardens and all I can think about is the family that built them and where all that money came from and the billions of cigarettes sold and then bought by tens of millions of people over the years and how many of those people died due only to that product. I find it very hypocritical that this family would build and then donate “to the people of North Carolina” something that is greatly enjoyed by smelling and BREATHING the beautiful and lovely scents and smells of flowers and trees. I lost two close family members to lung cancer and probably would have lost more if these companies weren’t finally forced to tell the truth. There was nothing voluntary, it was fought to the very end, to expose the horrendous dangers of smoking. Now that smoking is suppose to be decreasing in the United States they’re now exporting this horrendous product to China and slowly killing millions in that country. I find it shameful. My parents, now in their 70s said when they were young they were actually told by tobacco companies smoking was GOOD for you. Thank heavens they had the intelligence to quit after the death of the first family member lost to lung cancer completely due to smoking. I think I’ll take a pass on visiting this estate and gardens. Being from Winnipeg, Canada our growing season is somewhat shortened!! I love looking at the pictures of these gardens and wishing. I would love to win this trip and see some fabulous gardens in the beautiful South!! I gain valuable inspiration from visiting gardens! I’d love to win this trip! Flowers feed the soul. Thank you for the opportunity to be a possible winner of this joy-filled sounding trip! I love any gardens and often plan trips to see them. Ashville (NC) Botanical Gardens is one of my favorites. I surely would love to win this trip! I love Gardens too! When I travel I love stopping at all the botanical gardens and historic homes with Gardens. Thanks! Thank you for sharing the exquisite beauty! Visiting gardens is one of my favorite activities–all the beauty and inspiration but none of the work until you try to duplicate what you’ve seen. My husband and I would love to visit these gardens. What a great way to celebrate 30 years of gardening together. Thank you for the opportunity to win something like this. Thank you so much for the opportunity to visit the gardens and Winston-Salem. What a treat! Fingers crossed for a win! I live on a large lake in south – west Virginia and am an avid gardener. I have never seen these gardens in the Winston Salem area of NC but would love to! Just beautiful! I would love to see it with my hubby! Thank you for sharing! I like to visit the Cleveland Botanical Gardens because that is where I live. My dream has always been to live in the South where many of my family came from. A visit would be a taste of my dream!! 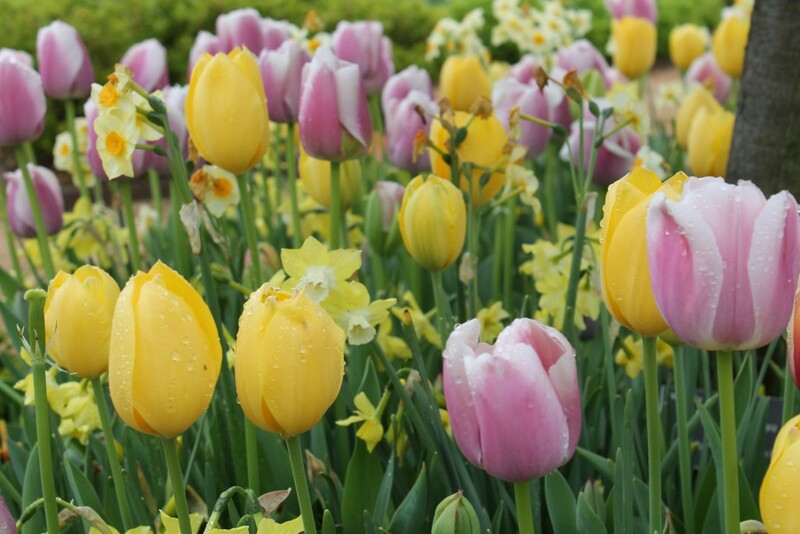 What better way to welcome the delights of spring ; a step back into history in Winston-Salem, stroll through gardens, acquire knowledge of the blooms and a night’s stay in the Historic Brookstown Inn Hotel. All Southern Hospitality at its best. A trip to Winston-Salem to see the gardens and a swing by Biltmore to see Cornelia’s wedding dress. Perfect trip!!! I would love to win the opportunity!!!! Those are some beautiful gardens, and the history behind it all, WOW. I have a German background. I love the diagonal gardens! I was listening to someone at church recently talking about the Carolina s and it just sounded so appealing to me. I’d love to see what plants they grow there. Thank-you for all that you do! I absolutely love gardens, especially ones featuring heritage plants and designs that have a “story to tell”. I would love to visit the gardens and town of Winston-Salem, NC. Please put my name into the drawing! Having grown up in this area, it gives me chills to think I could have the opportunity to retrace my steps! Thank you for offering such a special visit! Lovely gardens are always delightful and I know just the gardening friend I would invite with me! I’ve never been to SC, but reading about it made me want to spend a long weekend visiting the Historic Gardens in Winston-Salem. The Daniel Stowe Botanical Gardens in Belmont, NC….so lovely and educational! I really enjoy any garden. We have a garden walk in our town every year and private homes graciously open their gardens to the public. It’s wonderful to see what grows. Thanks for the chance to win. Love how things grow in NC. Would love to win and stay! Thank you for continuing to feature such beautiful gardens. Readers are interested in seeing this! Loving beautiful gardens, having never been to North Carolina and being third generation American born German on my fathers side, I would relish the opportunity to take this trip. Thank you once again, Phyllis, for the chance to do something entertaining and educational. I have never visited Winston-Salem and this sounds like the perfect incentive to make the trip. Thank you for offering this opportunity. There is nothing that would be more special to me than to have the opportunity to visit these beautiful gardens. I would find peace and beauty at a time when I so desperately need it. Please enter my name as a very eager entrant to your wonderful gift. What a wonderful getaway to see the beautiful gardens of Winston-Salem as well as celebrate our 45th wedding anniversary. We are beekeepers for five years now and we have increasingly become more interested in gardening, especially for our precious honey bees! This would be a real treat! Would love to visit the beautiful gardens and would bring along my paintbrushes! Thank you!!! Years ago I visited the Bellingrath Gardens and was inspired as to what gardening could do. After a couple trips to the English countryside, I was again inspired. We believe we are out of the drought that has plagued Texas and are re-inspired to regain our beautiful yards. A trip like this would be so encouraging! Thank you for the offer. Love visiting gardens. Gibbs Gardens in Georgia is a fun place to visit. This would be such a treat! Know the gardens are so pretty this time of year! Oh I would love to visit these gardens. They are beautiful. I just took Master Gardener course and I would love to see how they garden. What beautiful and inspiring gardens! I love the artistry involved. Since I live in Pennsylvania the gardens at Longwood and Winterthur (in Delaware) are always a draw. Last year we visited the Iris Garden in Montclair, NJ for the first time. So-o-o many varieties and such a small time frame. It’s mostly upkept by volunteers and they do a great job. My best friend from college lived in High Point, NC. I remember a visit to her home at Easter where I heard the Moravian brass band playing music at sunrise. I would love to return to NC and visit these lovely gardens. Never been to this beautiful place before..love gardens and all they have to offer. Would love to see this beautiful city also. You visit the most wonderful places . These gardens look absolutely lovely and make me miss having a garden of my own. A trip to see them would be like a dream come true! Thank you for sharing these with us. 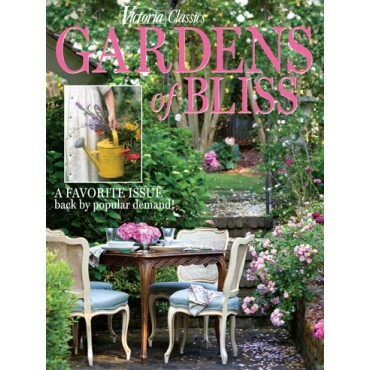 Love beautiful gardens and would love to win….count me in! As a avid gardener would love to see these gardens. Beautiful & enchanting! Would love a visit to Historic Gardens in Winston-Salem for a memorable experience to view the gardens & enjoy the taste of the town! Thank you for sharing this beautiful place with us!!! I would LOVE to visit those gardens and learn more about the traditions of an earlier time. It’s fun to learn about customs from the folks who came before us! My husband and I are planning a trip to NC to see the gown display at Biltmore, so this would be a lovely extension! Love to visit gardens! I have always wanted to visit old Salem and this would be the perfect opportunity! We live in western North Carolina closer to the Biltmore House and love the gardens there. This is a great opportunity to visit lovely gardens in a lovely city and state. My husband and I have often spoken about traveling to Winston-Salem, but have not made it as of yet. We moved to Florida from California 20 years ago and it was on my list of things to do when coming East, along with Charleston and Savannah………but sadly W/S is still there. I would cherish the opportunity to visit these beautiful gardens, and city where they reside, so thank you for providing this chance to do something 20 years in the making!!!! I ordered Moravian cookies when we lived on the West coast and after finding out how delicious they were, they became go-to gifts for friends and family. Way back then I could not imagine ever living anywhere but CA…..but how wrong I was. We are celebrating our 25th wedding anniversary this year, and would love spending time in your charming city…..celebrating it’s 250th anniversary. Many thanks………………. that’s just icing on the cake! Would love to go! Winston -Salem is a lovely city. I Jane been there but never saw the gardens . Would love to see them. Please enter my name. We enjoy the Moravian cookies for Christmas each year, but I have never visited the community before. What a treat their gardens must be! My dream is to visit Southern gardens some day. I’m sure that Gardens of Bliss will give my Garden, here in Northern California, much inspiration! I love , love, love garden tours. Our local master gardeners group hosts a garden tour each June and I so look forward to it! Have been to the Elizabethan Gardens in Roanoke but have yet to see the gardens in Winston-Salem. Would love to win this trip and mark these gardens off my list! My soon to be 86 year old mom and I were just talking about planning a trip for her 86th birthday. Wouldn’t this be fun!! We’ve always wanted to visit the Winston-Salem area and love garden tours wherever we find them. This would be such a treat. Beautiful! Would love to win this trip! I love including garden tours on vacations! Would love to win this one! I’d love to explore more of North Carolina since I’m fairly new to the state. Please enter me to win. Absolutely beautiful – love wonderful gardens and flowers!!!! We have visited Winston-Salem before and always enjoy going there. Thank you for this opportunity. Lovely! Would love to visit Winston-Salem!